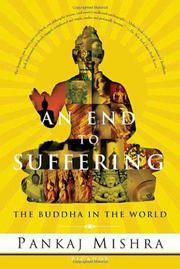 The life of the historical Buddha, his legacy, and his enduring relevance. Indian-born novelist Mishra (The Romantics, 2000) begins in a secluded Himalayan valley with little more than an impulse: he wants to write about Siddartha Gautama (ca. 563–483 b.c.e.) but needs to know more. The quest evolves into a personal pilgrimage. The twist: actually visiting the Buddha’s birthplace in Nepal, or trekking to other long-forgotten and ignored sacred sites in his native northern India, turns out to be not all that evocative of the pampered princeling who renounced material comforts to seek enlightenment. More resonant, the author finds, is his cumulative impact on Western thinkers in the modern era. Neatly subsumed into the Hindu pantheon eons ago by India’s threatened Brahmins, edged out of ancient China by the great wave of Confucian ideas, the Buddha bobs up again with Nietzsche, Hermann Hesse, et al., in a world facing the great conflagrations of the 20th century. Suffering, after all, was his bag—as Allen Ginsberg surely must have put it—but it’s still been an impressive revival, Mishra proposes, for someone who apparently wrote nothing down and may not even have been literate, about whom far less is known for certain than either the historical Jesus or Mohammed. Writing flatly and unemotionally, more as an intellectual admirer than a disciple, the author does manage to gather up and fit together a lot of Buddhist lore and codified principles, including a range of variations in worship among directly surviving enclaves from Tibet to Southeast Asia. The Enlightened One’s supposed last words alone, rendered somewhat inelegantly here as “all conditioned things are subject to decay, strive on untiringly,” probably contain enough mystery to keep scholars and disciples delving for centuries more. An impressive compendium with a sense of shared discovery.